Our top priority is providing quality care to our patients. During your visit, our dentists take the time to review your oral current health conditions with you before recommending a treatment plan. Whether you are a local to the East Bay Area, or your are traveling from afar, we do our best to make your visit efficient with low wait times. 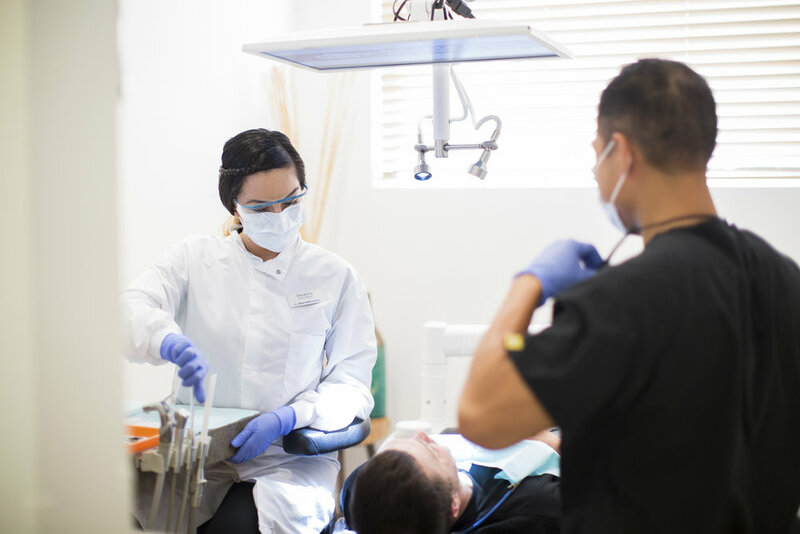 Our staff is committed to keeping things on schedule and our dentists are well organized and methodical. We know you have many options to choose from in the entire East Bay Area. However, you will find that we are the top yelp and google reviewed dentist office in the area. Thanks to our staff and dentists, patients leave our offices with a better smile and healthier teeth. Our top of the line technology allows us to complete one day crowns and expert dental implants. Dr. Jason Chen, is a leading dentist expert in dental implant placements. He routinely attends additional courses and seminars to improve his practice. In many cases, our patients are referred to us from other East Bay offices that can not perform complex oral surgery dental implants. During your initial visit, our consultation will create a baseline of your gum health, plaque level and any cavity or problem areas. Our hygienists are gentle and experts at cleanings. We strive to complete your cleaning and check up within one hour. For new patients, we baseline your mouth with a set of photos of your teeth so you can see the before and after treatments. In general, our staff (hygienists and dentists) can teach you how to properly floss and brush your teeth. Maintaining a good routine will reduce cavities and emergency trips from the east bay to the dentist office. Nervous around dentists? Don't worry! Our dentists provide excellent and gentle care. There are many cities located within the bay - we often check out the news to see if there is any construction or major events before heading out to an appointment. Our office sends helpful automated texts to remind you of an upcoming appointment. From Alameda: Use the 880 fwy, Exit Davis Street Exit Turn Right on E. 14th Street (1.3 miles) Go 500 feet on E. 14th Street to first signal Turn Left onto Estudillo Avenue. From the East Bay Hills Area (San Ramon and Hayward): Use the 580 Freeway, Take exit 31. At Estudillo Avenue Turn Right at end of off ramp onto MacArthur Blvd. Go 200 feet; turn left at signal onto Estudillo Avenue. We are on the left. From from Oakland East Bay Community: Depending on traffic you can take either the 880 or 580 freeway. Exit at Dutton/Estudillo for 580. For 880, Exit Davis street and use the directions above (from the Alameda East bay area).